Inspired by the extraordinary surroundings we grew up in, we wanted to create a special space, somewhere far from the everyday. A place where deep green valley meets wild north sea, where echoes of mermaid crested waves and a touch of the faerie folk are woven into something quite magical. We invite you to walk through a doorway into another world and discover something truly captivating and unique. A family business from the start, our parents Rosie Mchugh and Pete Budd, opened The Shepherd’s Purse shop in 1973 on historic Church Street where our business still operates today. An Aladdin’s Cave of textiles and treasured objects collected from their travels across the Far East, woven baskets of whole foods, exotic spices and jars of delicious teas; The Shepherd’s Purse became a much loved piece of Whitby’s enchanting heritage. 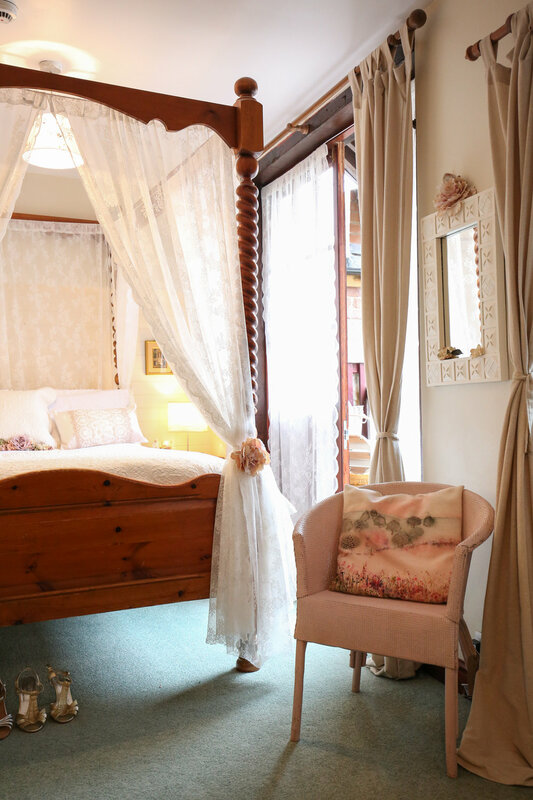 Now, we siblings, Michelle, Sophie and Kim, have created a nest of richness in our warm, welcoming accommodation, which captures our parent’s spirited wanderlust and fairytale imagination. Our cosy guesthouse is tucked away in the old jet workshops behind Church Street, surrounding a secret courtyard frequented by white doves. In 2016, eldest sibling, Michelle launched Flourish - a wellbeing brand under which she practices as a cruelty free beautician and make up artist, as well as hosting her local flower school and selling her much loved whimsical velvet flower crowns. Working from her rustic workshop, which was built from reclaimed materials, Michelle has curated a space apart from the everyday world for quiet contemplation and self care.